2. New design, use Original Cree chips. The best color temperature for plant. More easy operation, less labor cost. Bring a 30%increse in the yield. 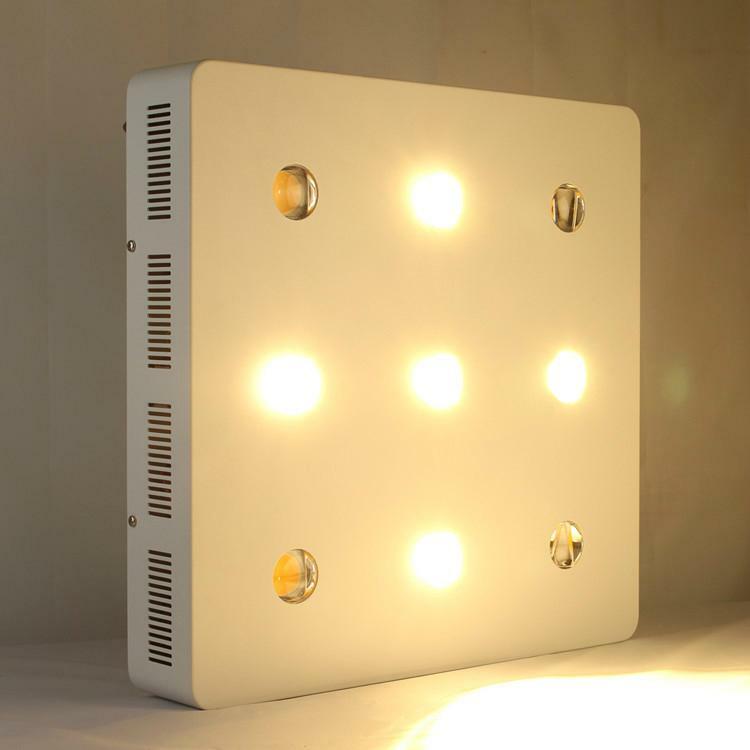 Our super LED Grow Light adopts the latest integrated COB technology for best color uniformity, and our patent design of professional optical reflector creates best Par value, which makes the plant enjoy fastest growth and maximum yield, it received immense positive feedback and recognition among thousands of growers and distributors. 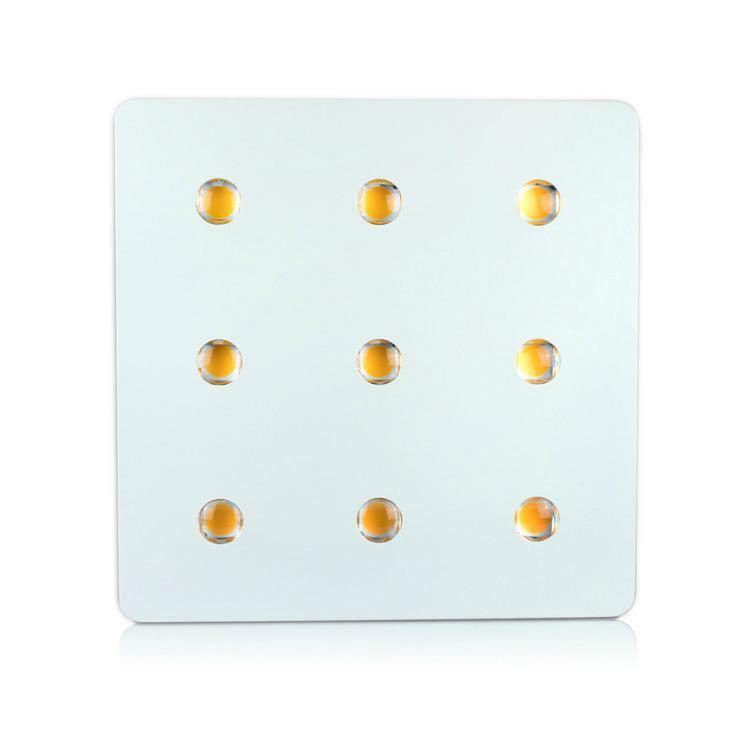 1.Compared to secondary lens (also called "X2") and normal single lens, our latest integrated COB of LEDs effectively improves much the color uniformity and luminous efficiency. 2.We have core technology of COB from our efforts on thousands of tests of COB in terms of stability, brightness, luminous efficiency, Par value, etc, which provide growers with a strong quality assurance and nice growing experience. 1.Bring a 15% increase in the yield( According to our customer feedback ). 2.Patented unique design of reflective cup for higher light-gathering effect ! 3.We hold core technology of integrated COB, ensuring superior quality and strong stability. 4.The isolated power source will cut the too strong current and protect the chips. 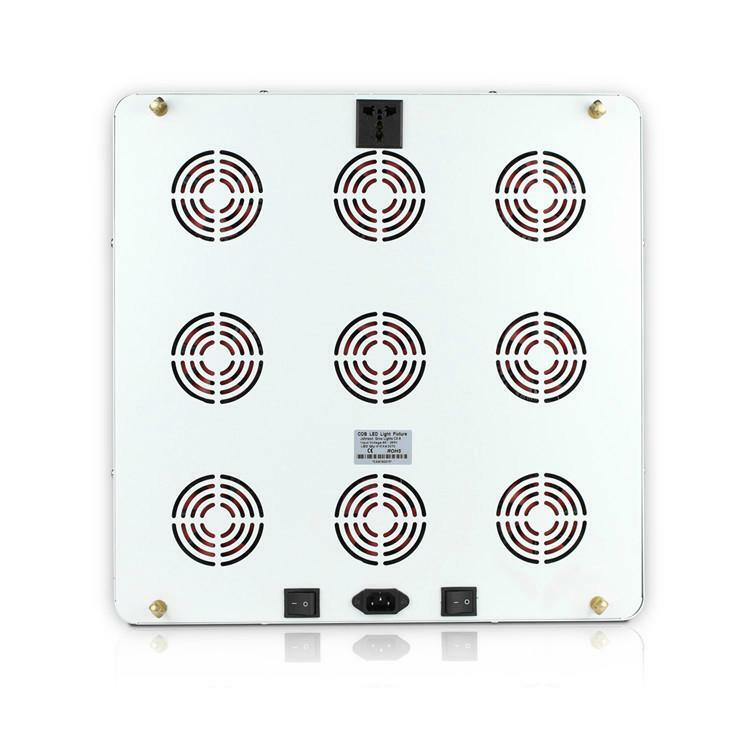 5.Unique sunflower radiator + high quality fans,effectively improves the heat-sinking effect. 6.Unique Power-Link function,more easier to use and reduce much labor cost. 7.Zero Maintenance Cost, Hassle-free Warranty. 8.After continual testing and upgrading, we finally find the best spectrum and color ratio for the plants. 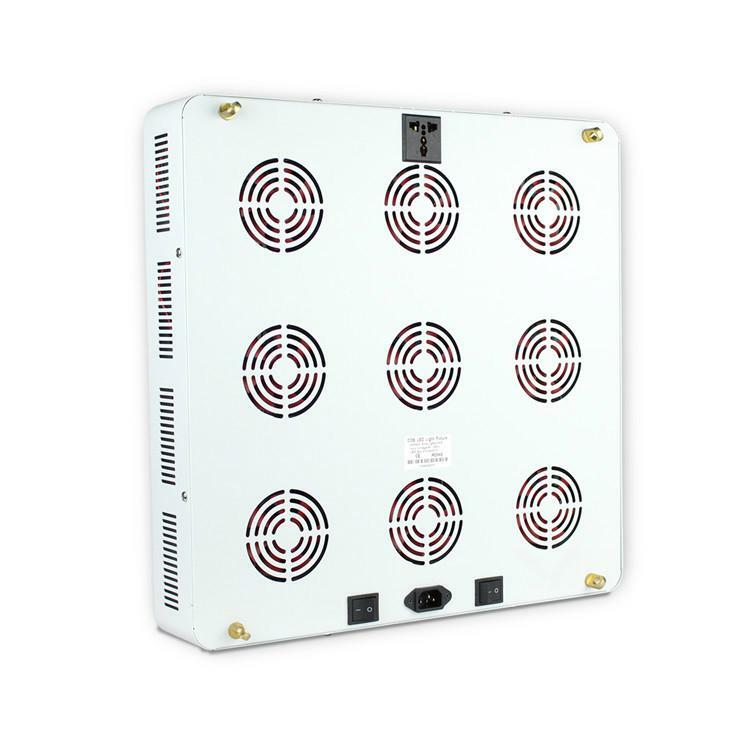 Compared to many so-called automatic switch-off system to protect the LED Grow Light over-heated, our super LED Grow Light's maximum temperature is as low as 45 degree by our unique sunflower radiator as the best heat-dissipation , which ensures the LED Grow Lights work in very good condition and enjoys the longest lifetime, it will definitely maximize your investment of return. 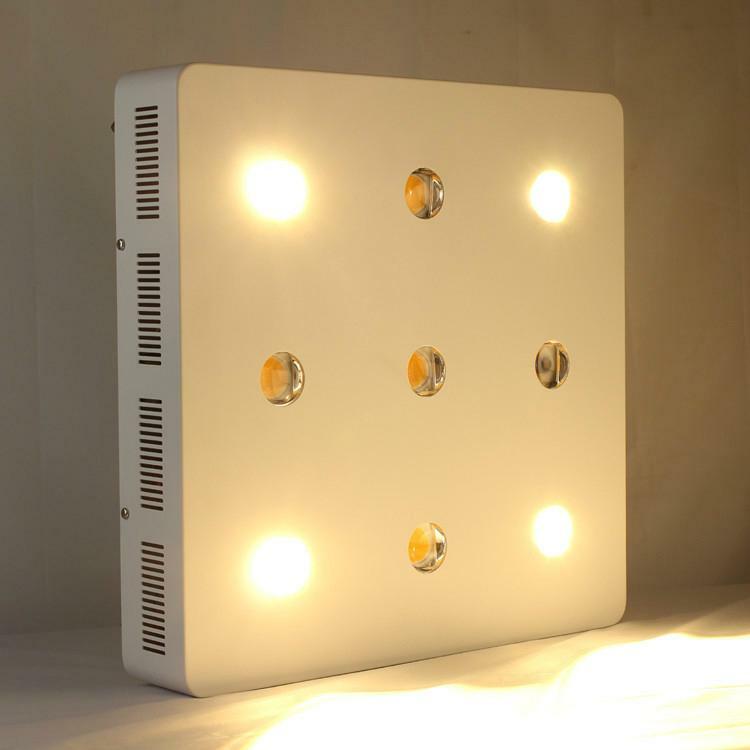 Why our COB LED Grow Light are more suitable for the different growing stage of plant? 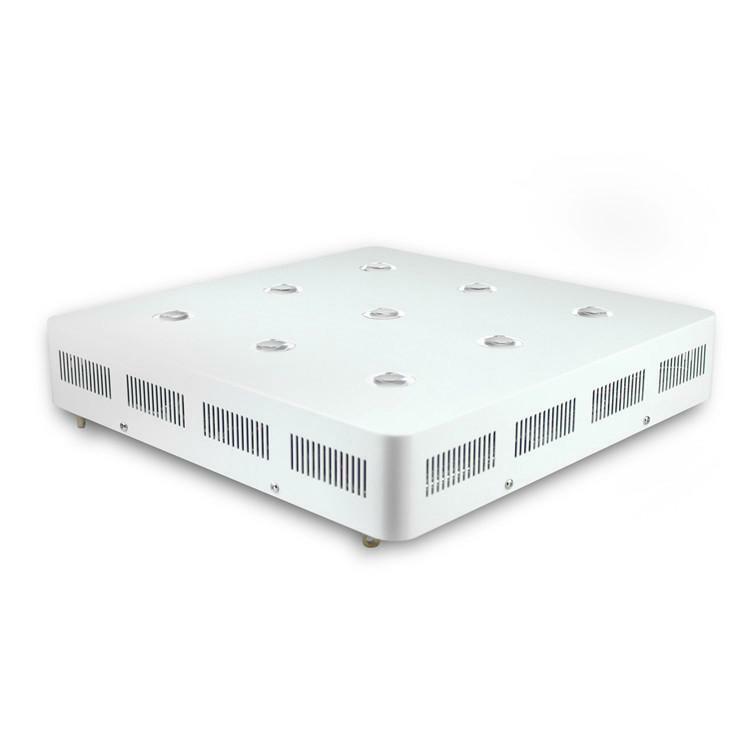 Our patent COB LED Grow Light adopts refined color ratio to cover the most important spectrum of light, which are very important to make plant grow faster and create maximum yield as much as possible. Does your LED Grow Light work in my country? Worldwide voltage (85V-265V) is standard on all our LED lights. Customers in the UK will receive a UK power cord. Customers in Europe will receive an EU power cord. Customers in Australia will receive an AU power cord. If you are still confused about power compatibility in your specific country, please contact us. 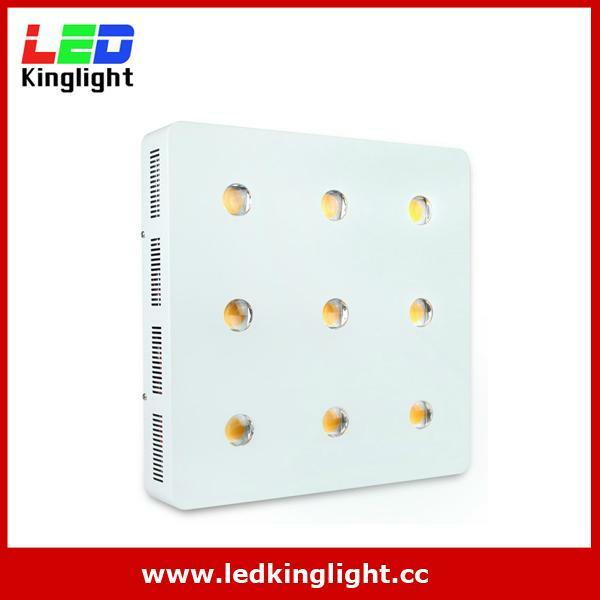 How about the performance of led grow light compared with HID/HPS lighting? LED lights cost more money to front, but you will save about 50% power consumption of the light, cooling costs (very expensive in the summer) and annual bulb replacement. Follow the guidelines for recommended coverage area, and your LEDs will impress you with their yield. Comparing with HPS/MH bulbs LEDs will reduce much heat output, and also substantially reduces the risk of a fire hazard, especially in an enclosed space. Our led grow light mainly are red and blue spectrum, these two spectrums are the peak of plants absorption. 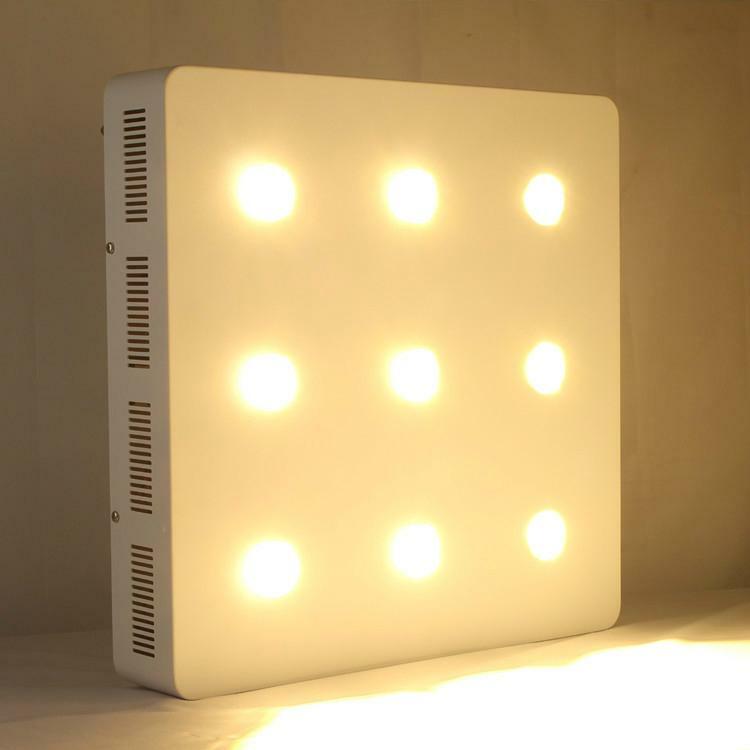 Does this New LED Grow Light emit much heat? 1.LEDs are the most efficient lights nowadays; they produce so little heat that you can actually let the plant touch the light (although it's not recommended - as you will reduce the size of your growing area). Any heat produced by the unit is absorbed by the heat sink and dissipated by the fans in the rear of the light. 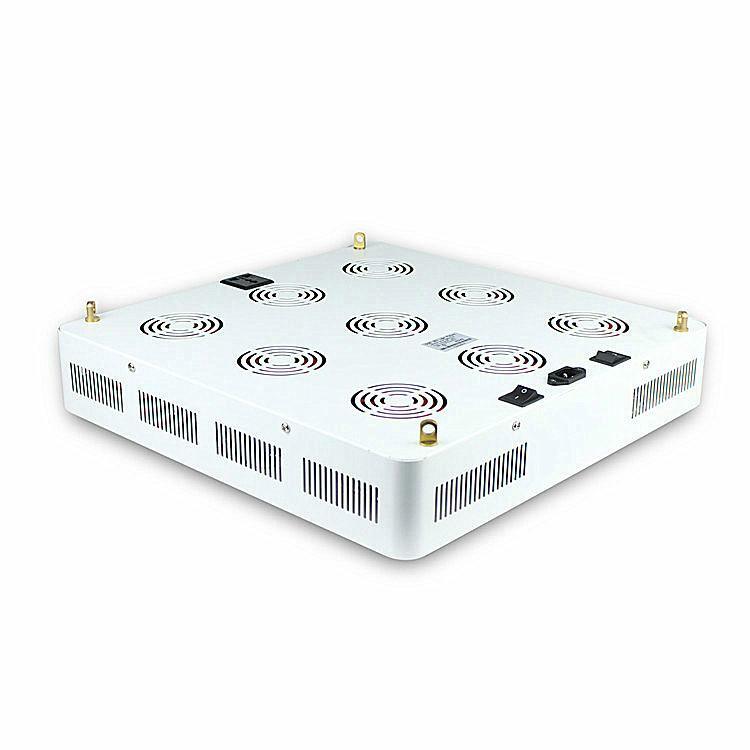 2.Unlike some LED grow light with poor design of heat sinking, the maximum heat generated by our LED grow light is less than 45 degree, much less than normal.